We were in Norfolk for a few days while Amy attended a VAEA conference, where she gave a presentation on “Artful Adventures.” Meanwhile, I ventured out around Norfolk’s Downtown and Waterside areas to see things. We stayed at the Sheraton Waterside, just a short walk from a bunch of downtown landmarks, and right across the harbor from an awesome naval shipyard with a massive drydock. 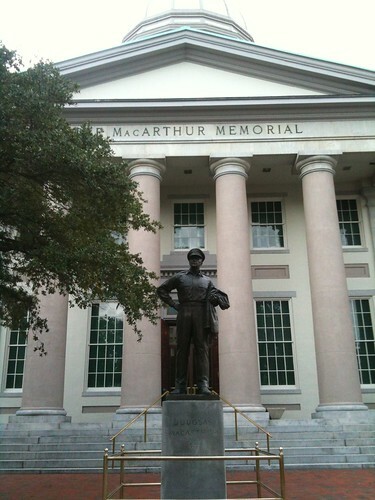 First day there I was pleasantly surprised to find that Norfolk is home to the MacArthur Memorial, just two blocks north of the hotel. 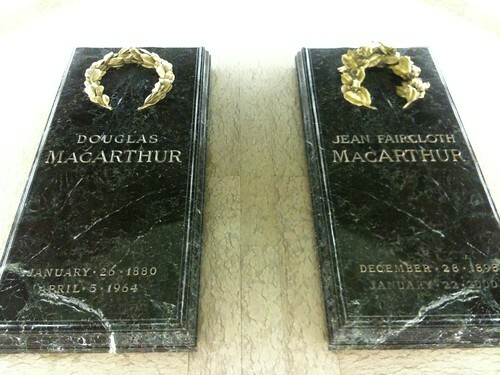 Douglas MacArthur was an important figure in Philippine history during World War II, so I figured I’d drop in on his resting place and see the museum about him. 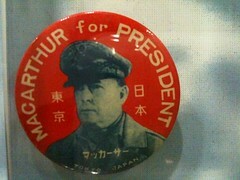 Most of this was stuff I already knew about MacArthur: his strategic shortfalls in the Pacific theater during WW2, his triumphant return at Leyte, the subsequent rebuilding of Japan, the conflict with Truman during the Korean War that led to his dismissal as UN Armed Forces commander. I did learn a few new things about him, though: he might have run for President in 1952, but endorsed Robert Taft instead, though the nomination — and presidency — ultimately went to Eisenhower. 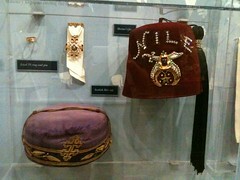 Also, he was a Mason and a Shriner, and wore the requisite fez. 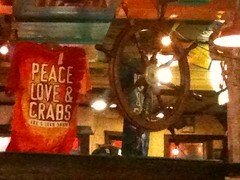 That night we ate at Joe’s Crab Shack. I had a Classic Steampot, which was a filling affair of Snow Crab, Dungeness, shrimp, sausage, and corn. One of the best meals I’d ever eaten. 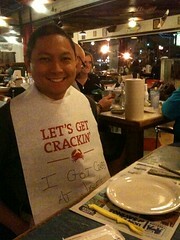 And now there’s a photo of me wearing a bib saying that I got crabs. 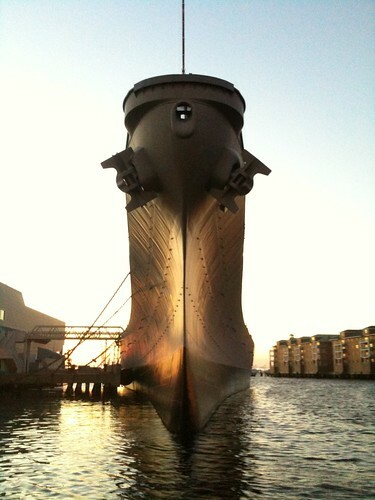 Next day, while Amy conducted her presentation, I walked along the waterfront to Nauticus and the Hampton Roads Naval Museum to see the USS Wisconsin. 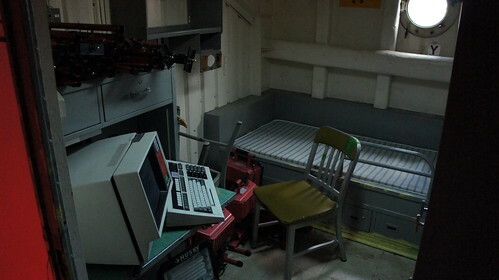 Unfortunately the inside tour was closed while they restored parts of the battleship, including the bridge, but there was more than enough to see around the ship’s topside: the bow and aft, the turrets with their giant guns, the officers’ mess and quarters. 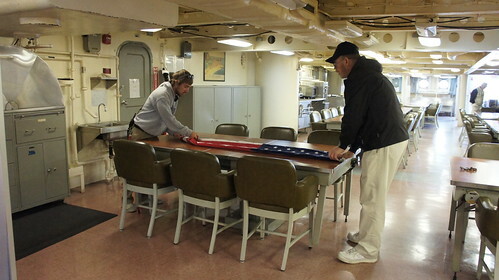 In the mess hall, volunteers were folding US flags, while a disassembled mannequin rested in a cart. 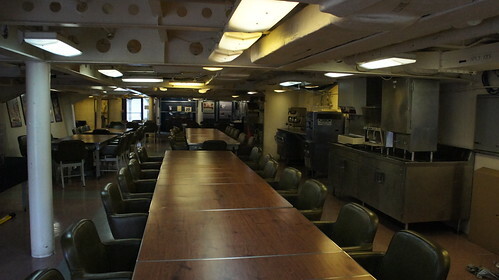 The rest of the Naval Museum and Nauticus were also fairly interesting, with exhibits on naval history, interactive science and technology installations for the kids, and a few fish tanks. 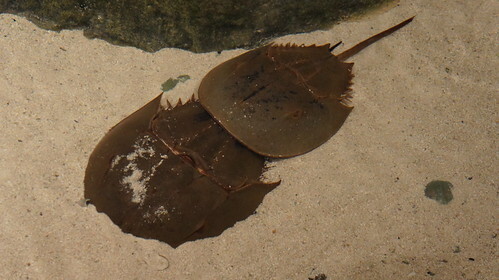 I was especially enthralled by the horseshoe crabs. 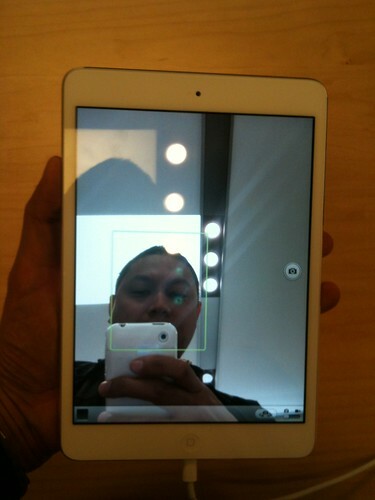 After the museum I walked around the waterfront a bit, then went to the shopping mall nearby and bought an iPad mini because it was shiny. Amy’s presentation went well, and when she was done with workshops and sessions for the day, we walked up the Waterfront to Big Easy for a seafood dinner with some live jazz. 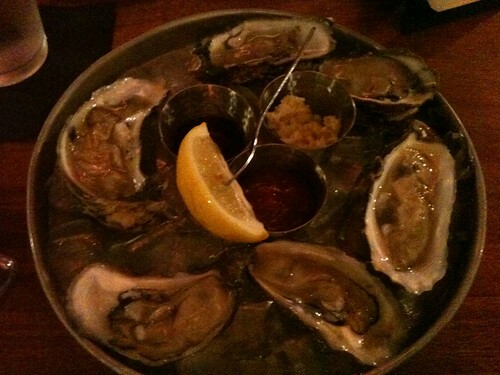 I also tried a half-dozen Seaside Salt oysters freshly harvested from the lower Chesapeake. They were amazing; aggressively briny at first but with delicately textured meat, light and buttery with afternotes of melon, some of the best oysters I’ve ever had. Before checking out the next morning, we emerged from the elevator to a crowd of people waiting for some celebrity. We shrugged, checked out, and drove home, only finding later in the day that Bill Clinton had been staying at the hotel too. 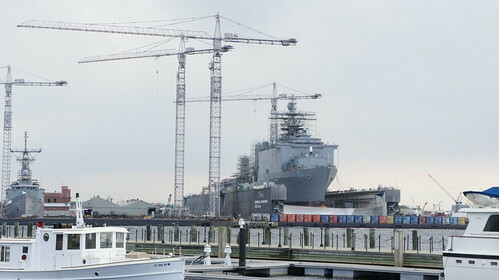 Norfolk, VA is a lovely and diverse little town, with amazing sights if you’re really into naval history and technology. I want to go back some time and see more of it, maybe in the summer so we can go to the beach, too. Full Flickr photoset from Norfolk here.